One thing I have learnt over the last 7 years since I published my very first book on Amazon, is how to spy on my competitors. What I basically mean by this, is that I have found a way to work out which books on Amazon are selling really well. 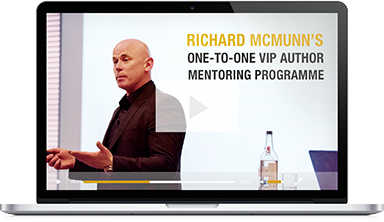 This enables me to identify different potential markets that I can tap into. STEP 1 – Go to Amazon and search for book subjects that you are interested in writing. 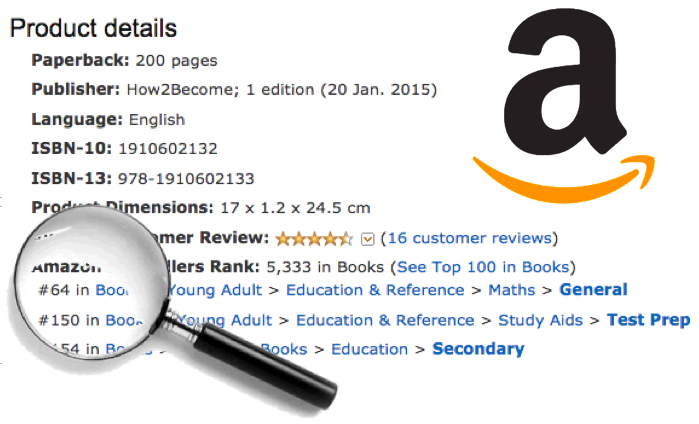 STEP 2 – View the highest ranking books on Amazon that appear in the search results. The next step is to then take a look at the first page of the search results for your particular search-based phrase. 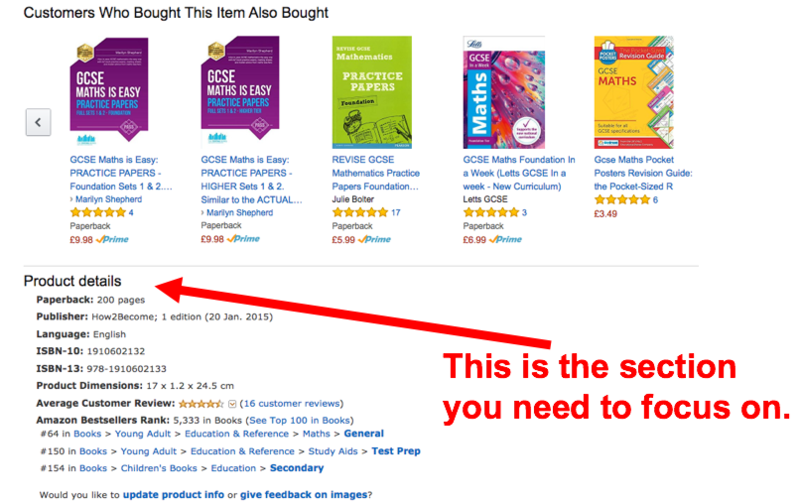 The following screenshot shows you one of the best-selling books in the category of “GCSE MATHS”. STEP 3 – Click through on the Amazon best-selling books product page, and scroll down to the PRODUCT DETAIL part. Your next task is to click-through to view that particular book. 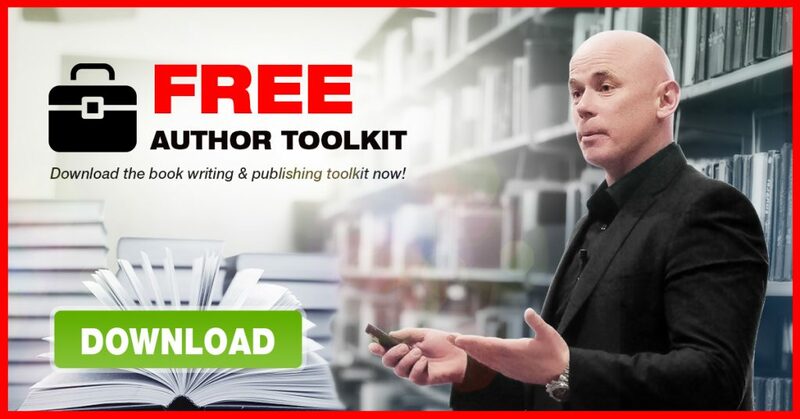 STEP 4 – Assess the AMAZON BEST-SELLER rank for that book. The final stage of the 4-step process is to assess the ranking for that particular book, which can be found at the bottom of the PRODUCT DETAILS element of the sales page, as demonstrated in the image below. This will tell you whether or not that particular book is a best-seller in its category. So, there you have it, a simple, 4-step guide to understanding how to spy on your amazon book competitors.